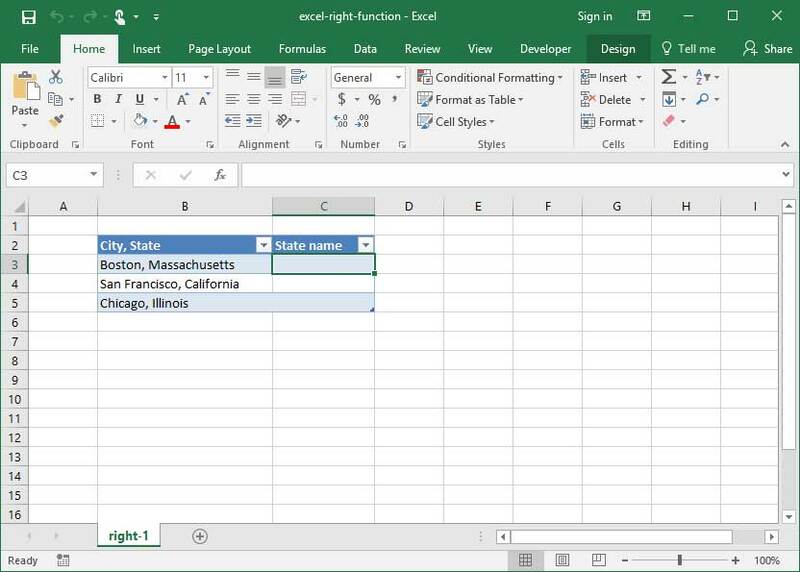 The RIGHT function in Excel is an extremely common — and simple — string manipulation tool. RIGHT is used to return a chosen number of characters that fall on the rightmost side of a string. Use it when you want to extract data that lies on the right-hand side of a string and eliminate everything else. 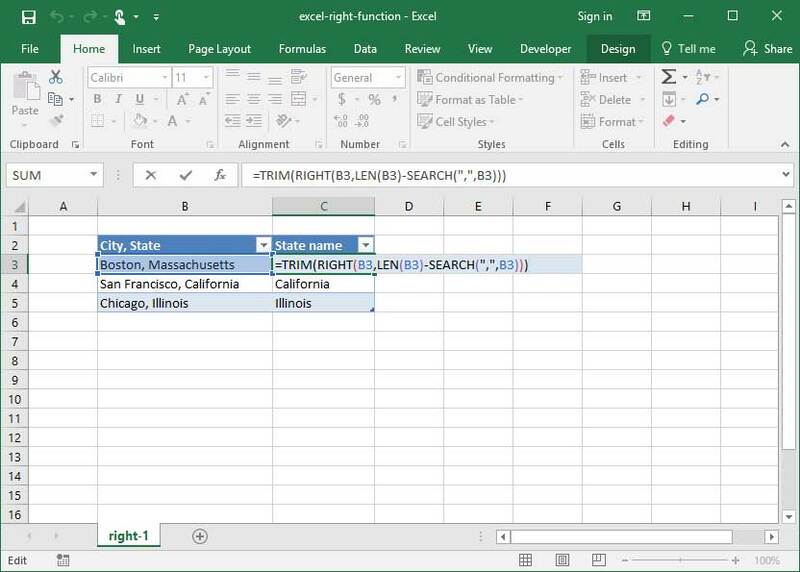 There are very few situations in which extracting the rightmost single character from a string of text is useful, so we usually end up using RIGHT with a num_characters argument. Using RIGHT with a static num_characters like 2 is perfectly useful if we know the size of the data we're trying to extract (for example, when we know the rightmost two characters in a string will always represent a state abbreviation). However, what happens when we don't know the length of the string we want to pull? This is where things get fancy: we can combine the RIGHT function with LEN, SEARCH, and TRIM to perform our extraction. The following tutorial requires familiarity with the LEN, SEARCH, and TRIM functions. Be sure to check out our tutorials on those first before proceeding. Whoa there! That's a complicated formula, but it came out with the correct answer: "Massachusetts". Let's break it down to see what's happening. There you go! There are many more ways to combine RIGHT with other string functions, but the above formulation is one of the most common. Try to experiment with some other ways to use RIGHT to pull text you want out of a given string.